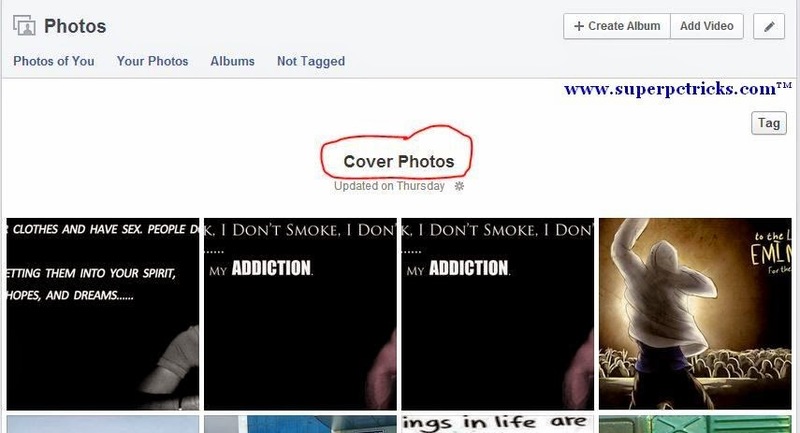 So now Facebook allows you to set the privacy of your old cover photos .In order to change the privacy options of your previous cover photos, navigate to photos, your photos and move the pointer over your any cover picture.Cover photos link will appear .Click on it and your cover photos gallery will open. 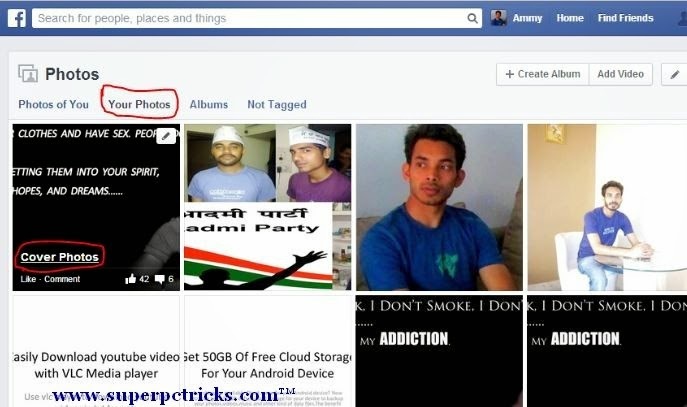 Open the Photo whose privacy you want to change.For example, I want to make one of my cover photo visible only to friends, so I will choose Friends from privacy list options. 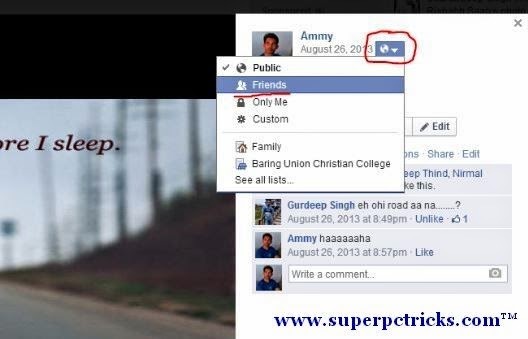 Similar to this, You can set the privacy of each one of your old cover photos.This option was not available before and Facebook has made this change just few days back.All the cover photos were public and hence visible to everyone by default. 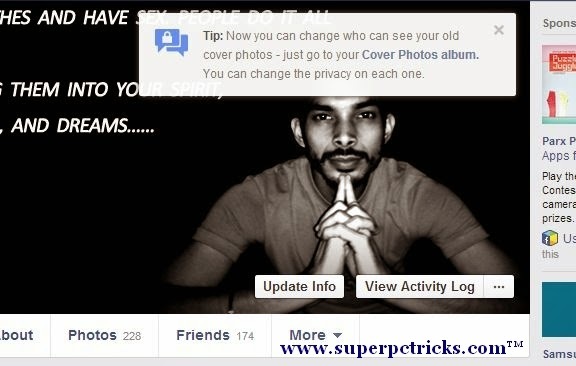 One thing worth mentioning is that your current cover photo is still public and you cannot change its privacy options.Current Cover photo is visible to everyone and you can set visibility only of old cover photos.